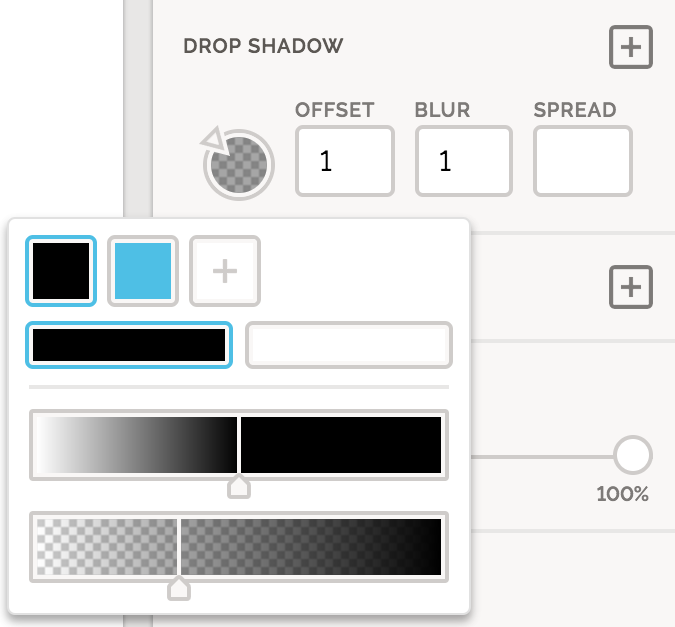 Drop shadows give components depth. Change the direction of the drop shadow by dragging the caret around the drop shadow's left circle. Offset - increasing the offset will expand the shadow in the direction of the caret on the circular color widget. Blur - increasing the blur will make the shadow bigger and lighter. Spread - increasing the spread will expand the entire shadow.